We found a box containing a few of these very rare limited edition collector´s item pedals. 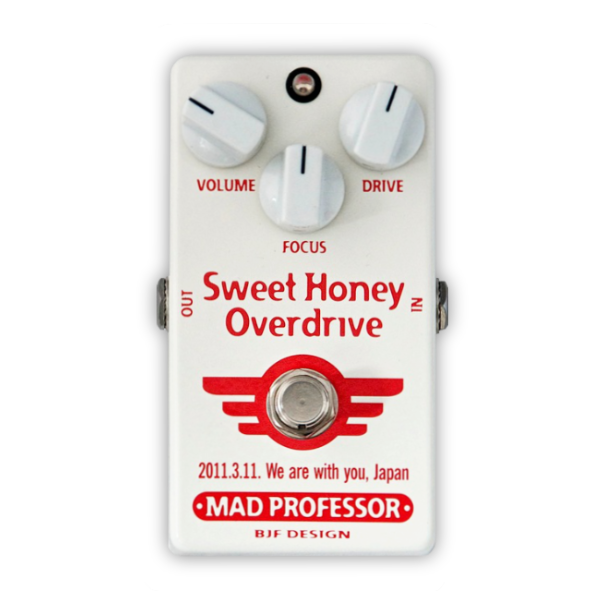 "On the request of their Japanese distributor, Mad Professor releases a Special Limited Edition Japan Relief Sweet Honey Overdrive to support the people in Japan suffering from the earthquake and subsequent tsunami on March 11th 2011". "There are 120 pedals that are sold in Japan and 80 pedals for the rest of the world, each pedal is numbered". "Mad Professor will donate 3500 Euro (USD 4950) for the Japan Red Cross from the sales of these pedals".